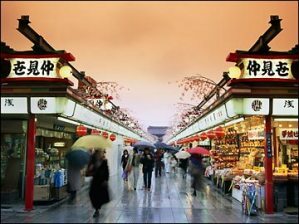 Japan is one of the Asian cities that must be seen. It is simply breathtaking to behold in its scenery and full of fun and exciting things to experience. Many come to the Islands of Japan and find they have so much to do, it is impossible to pack it all in to one vacation. From the large amount of attractions, the rich colorful history, and the beauty of the land itself, there is something to appeal to every traveler. You can still see the past traditions mingled with the new ways of today. There are so many cities in Japan that one might find it hard to decide on an exact destination. Each city has its own special personality to consider. Tokyo, Kyoto, Hiroshima, Osaka, and Fukuoka are some of the more polar cities most world travelers have heard of. Tokyo is the most up to date city in Japan and has sites to see such as the Meiji Jingu Shrine, the Imperial Palace, and Disneyland Tokyo. Other sites around Japan include the Nijo Castle, The Golden Pavillion, Kyoto Imperial Palace, and The Museum Of Kyoto. Hiroshima is, in itself a historical place as it was the area to be destroyed because of the first atomic bomb. The list continues on and on of great places to see and great things to experience while here in Japan. For those who want a more detailed list of thing you can do, the list below should give you a pretty good idea. •	Try meditating at one of the many Buddhist Temples in the area. •	See Sumo Warriors wrestle it out in this ancient sport. •	Be a part of a tea party which is tradition in Japan. •	For the adventure seeker, a climb up Mount Fuji might be the right activity. •	Smell the Cherry blossoms on the tree. •	Fish in one of the great waters here. •	Have some authentic sushi and wash it down with real sake. •	Take part in one of the many festival through the city. There are too many great things to do on your vacation in Japan. The best thing to do is to plan in advance. But if you’re the adventuress type, you can simply buy your tickets and set off for your own personal experience to Japan. See what you can find to do in this magnificent area of the world.